Today’s healthcare providers are facing extreme challenges. Hospital reimbursement is low and the numbers of patients that are uninsured or underinsured are growing. The cost and time needed to collect these accounts is high and detracts from the lucrative high balance insurance accounts. 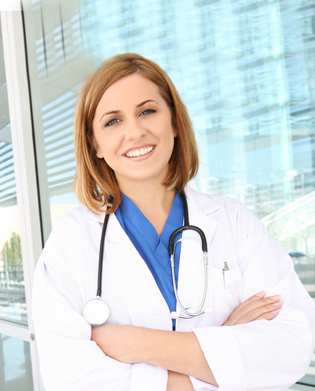 At the center of the revenue cycle process and the key to the future success of a healthcare provider is the patient. Global’s self pay outsourcing program is designed to ensure the highest attainable cash recovery and account resolution while maintaining high standards of community relations, conforming to collection and customer service policies and aiding in the organization’s overall mission. The strategies employed by GLOBAL are based on tried and true methods and are continuously improved and adjusted for new technologies and variations in each client’s demographic and socioeconomic profile. GLOBAL will establish a dedicated, toll free telephone number and a local number, specifically for the self pay outsourcing program. This number will be used for all notices, statements and telephone messages and will be manned as an extension of your business office. In addition, a call forward system can be established to allow for the transfer of these select accounts to GLOBAL account representatives. The ultimate goal is for this program to be fully transparent to the patient. Global utilizes our cutting edge technology to contact patients through a series of phone calls and letter series during a 90 or 120 day cycle. Our letters are clear, concise and are in full COLOR. It is proven that colored correspondence is more likely to be opened by the patient. GLOBAL provides patients with convenient options to pay their bill. Once contact is made with the responsible party, full payment is the first objective in account resolution. Patients can resolve their bill by manually forwarding a check or money order, by providing credit card information or by providing updated insurance information. GLOBAL will only establish a payment plan if it adheres to our client’s guidelines and instructions. When the patient expresses interest in such a plan, our staff is trained to review the account and determine the patient’s financial condition in order to match the plan to the client’s pre-determined directives. Once the payment plan is manually set, the payment plan is monitored until the account is paid in full. GLOBAL’s staff puts an emphasis on gathering 3rd party payer information beginning during the first assessment stage of the collection process. Once coverage has been identified and verified, GLOBAL will bill the account and follow up until payment has been received. In today’s economy with uninsured and underinsured patients growing, self pay balances are increasing for healthcare providers. A provider’s ability to successfully collect these self pay balances has a direct effect on the facilities bottom line. Outsourcing the self pay collection processes allows the accounts to be worked in a specialized workflow with customized follow up, by experienced personnel trained to maintain a positive public image. Below are just a few of the many benefits of a customized self pay outsourcing approach by GLOBAL. Global is dedicated to the concepts of efficiency and competitive advantage by remaining on the forefront of technology in the industry. Global will customize a specific collection approach to meet the needs of each individual client. This is possible because of our advanced technology that meets or exceeds even the largest collection agencies. Global utilizes the Columbia Ultimate Business System (CUBS). This is a premier collection system capable of customizing programs to meet the needs of our individual clients. We regularly maintain updated and current versions of the system which operates on an NT platform. Global prides itself on being on the cutting edge of technology. We are continually researching new tools to help us work smarter and more efficiently. Additionally, Global retains an on-site I.T. support person to deal immediately with any technical problems that develop. CUBS, itself, also supports the system remotely and is involved in all custom programming that may help us serve your specific early-out requirements. Our dialer system is provided and supported by our software vendor, CUBS. It is designed to interact specifically with our system software. The dialer call cycle is directed by a series of campaign strategies. Campaign strategies are created to meet the specific needs and requirements of our clients. For example, campaigns can be created to concentrate efforts on a given balance range, age of account, client, time of day, priority, etc. Thousands of calls can be generated daily. Our system maximizes contact with your patients by filtering out “no answer” attempts while immediately connecting an agency representative to an answered call. The dialer is capable of placing calls to multiple numbers on a given account, i.e. ; residence, place of employment, cell phone, alternate payers or guarantors. Furthermore, these calls can be ordered according to the time of the call: calls during the day attempt a work number first, then the residence number. Global, employs both inbound and outbound IVR to improve customer service. Interactive Voice Response technology is an automated communication platform which, combined with our predictive dialing and manual telephone attempts, combines to provide exceptional performance related to account coverage. Your customers will be able to call in to securely make payments, check account balances and retrieve other vital account information in English or Spanish 24 hours a day and 365 days a year. Also, as our client, the IVR can provide you with real-time collection statistics and account information. Aside from more conventional collection processes, Global utilizes an advanced automated messaging system. This system gives us the ability to make high quality, unmanned calls on your accounts to greatly increase right-party contacts, which in turn, improves the efficiency of our collectors. The text-to-speech functionality asks for the patient by name if someone answers the call, and can read the name and account number along with a pre-recorded message for an answering machine. If the call is answered, the interactive functionality gives the debtor the option to press a key to immediately be transferred to one of our account representatives. Also, this technology, working in conjunction with our Interactive Voice Response system, will allow the patient to press another key to securely make payments or acquire account specific information after entering confidential identification information. Interactive automated messaging ensures that all accounts, regardless of age or balance, are worked thoroughly and efficiently, thereby maximizing your recovery. Global utilizes a variety of skip-tracing tools and techniques to increase right-party contacts. These include automated database tools which have been integrated into Global’s collection system; these include CASS certified USPS Address Standardization, National Change of Address (NCOA), BANKO’s consolidated bankruptcy database, and Axiom’s Insight Collect skip-tracing products. Our automated tracing programs instantly update account information and determine the best follow-up action which improves efficiency by requiring minimal additional effort from our collection staff. In addition to automated processes, our account representatives have access to a host of tracing tools they use on an as-needed basis. These include both free and subscriber sites such as the industry leading Accurint database from LexisNexis. Global’s staff also uses all three national credit bureaus to locate hard to find debtors and assist in collection processes. Columbia Ultimate Business System (CUBS), the Collector System used by Global is a powerful and versatile software package which provides a wealth of custom reporting features. Global is able to provide its clients with ad hoc reporting on virtually any data that exists. Standard or scheduled reports can also be customized to meet our client’s specifications and formatting. In addition to the custom reports we can produce, Global’s Client Access Internet Portal provides our clients with the flexibility to design and produce their own custom reports based on a wide variety of data fields and on an as-needed basis. GLOBAL fully complies with all HIPAA regulations and maintains Business Associate agreements with all Covered Entity clients. All Employees are educated on HIPAA policy and are required to prove proficiency and knowledge of HIPAA regulations before receiving any access to protected health information. All employees are also required to be recertified on HIPAA compliance every twelve months. All policies and procedures are maintained and monitored by Global’s Compliance Office. The Compliance Office also monitors new developments in the applicable federal regulations and conducts weekly staff meetings to update and educate employees on any development.